Sweetman Illustrations: Self-Portrait: Step 1 "Thumbnails"
I'm actually re-doing this post. 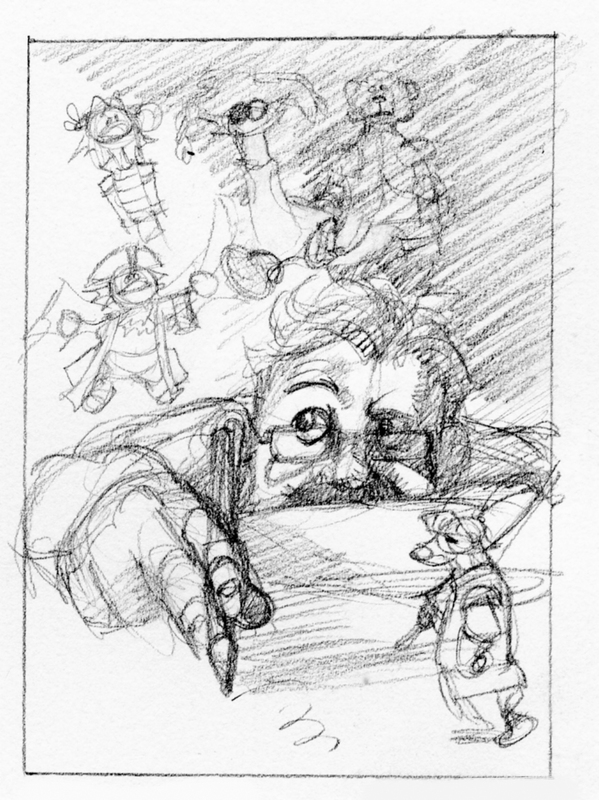 I thought that if I wanted to show what my process is for an entire project, I may as well start with the thumbnail drawing. The assignment is a self-portrait that would appear on the Ringling College Senior Illustration Show poster. My idea is that I would have mixed up versions of the characters I've been working on lately, dragons, knights, bears, and pirates. Self-Portrait: Step 4 "Value Study"